Most of us need a good night rest to look and feel well. It restores our energy and good mood. To sleep well a peaceful mind is an important start. The essential oils that may help to relax before falling asleep are: Chamomile, Clary sage, Lavender, Marjoram, Neroli, and Sweet Orange. Use them in a massage, bath or burner. Essential oils are very potent, use not more than 10 drops. Add them to the warm water of your bath swirl it a bit. Inhale deeply and relax. As the earlier recipe, use not more than 10 drops. Add them in the warm water of your bath. Inhale deeply and relax. 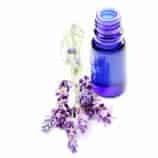 Lavender essential oil on its own is one of the fabulous essential oils for sleep.